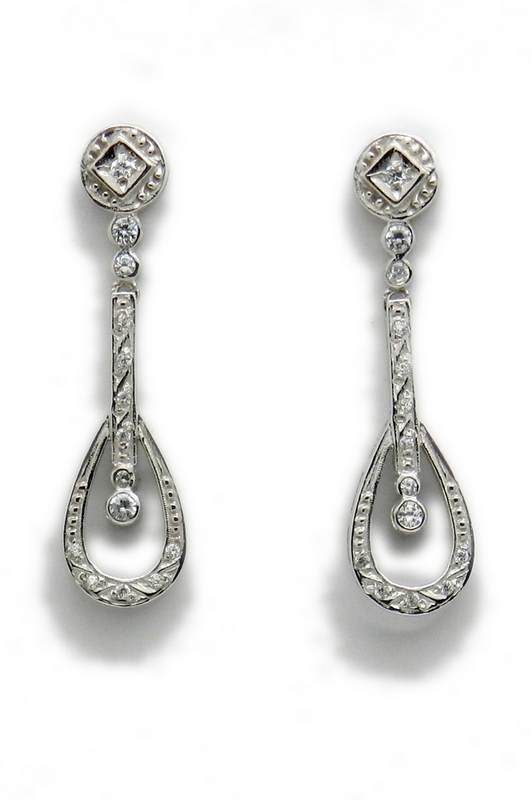 Earring white gold form tear special wedding. Beautiful white gold 1 ° law pendendientes ar 18 ktes form of tear. with stones and set screw. 35.70 x 9.30 earring size mm.